Move over Pumpkin Spice Latte! There is a new drink in town…but wait, where is it? The signature Starbucks red cups are back, which can only mean one thing! The holidays are near. The holiday season for Starbucks is their most profitable and busiest season. However, there was something missing from this festive time a year. The Eggnog Latte! A staple holiday drink for Starbucks since 1986 was not on the menu for this season. Which left more than just a few customers grumbling Bah Humbug. One loyal customer, 35-year-old firefighter, Travis Block just could not get into the holiday spirit without his Eggnog Latte. So he did was any person would do, he took to social media to protest. One tweet to Starbucks turned into to thousands more and plenty of retweets. Calls, emails and letters started overflowing the Starbucks headquarters, and an online petition even gained over 2500 signatures to bring the signature drink back! However, quick adjustments to menus are not always easy to fix. Starbucks is now struggling to find enough eggnog from suppliers to bring the drink back to every store. With this being their busiest and most profitable time of the year Starbucks understands the urgency to get the drinks back in the hands of their loyal customers. It seems as if Starbucks got too wrapped up in the excitement of their new holiday drink line, that they forgot what their customers really wanted. One reason people choose Starbucks over other coffee chains are because they can customize their drink to their exact liking. Starbuck’s customers are not ones for change. Something Starbucks perhaps forgot about. There is no doubt, Starbucks loves its customers, a latte, but they will need to improve on staying process focused and understanding what products their customers really want moving forward. How could Starbuck’s have overlooked their customer’s love for the Eggnog Latte? The company has never had a problem like this before, so what do you think happened? What could Starbucks have done to prevent this nightmare before Christmas from happening? Whats more exclusive then 6 hand made Ferraris? The only way to manufacture a more exclusive product then six handmade Ferrari’s is by making the purchase of each car invitation only. In the past week of class we learned about the different manufacturing processes used to make products. Between process focus, repetitive focus, product focus and mass customization we learned the pros and cons of each set up. What we are looking at here is a highly specialized and customizable version of process focus manufacturing. Ferrari, as we all know, likes to operate in a process focus environment targeting most affluent consumers on the market. Ferrari is tied to high price high quality products, just like the Rolex example in class. All of us assume a Ferrari is among the highest quality product on the market, even when placed side by side with many of its supercar counterparts. 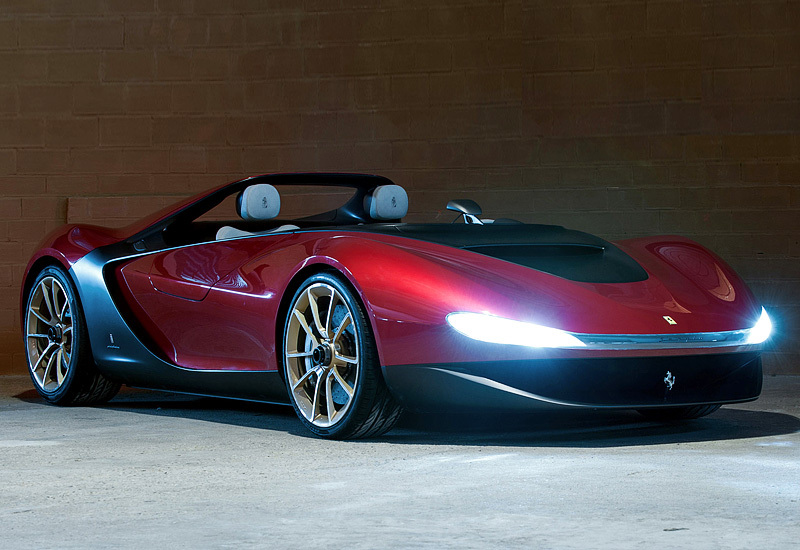 Ferrari, with the six new Sergio cars, took product focus to the extreme. They traded in on their name to entice potential customers to pay upwards of a million dollars for the new line cars. Instead of worrying about forecasting or any type of market research, Ferrari built a car with the intention they would sell effortlessly. The result in an invitation-only model has clearly paid off for Ferrari, as all six Sergio’s have already been sold. While the identities of the new owners are kept confidential, we are told the invitations were given to previous loyal Ferrari owners. With this heavy process focus comes the ability for massive customization options. Along with the usual online customizations that can be implemented into manufacturing, such as colors and finishes, the team went above and beyond to meet consumer satisfactions. After the purchase of a new Sergio, a life size clay model of the car is created so buyers know exactly what they are getting. I personally think this is a great way to manufacture a car for optimal appeal. The ultra-rich pride themselves on the exclusivity of the items they own. Ferrari took a shortcut to creating a uniquely exclusive product with a one of a kind manufacturing and sales model. Being this highly process focused I cannot see anyone who bought this car having even the slightest bit of buyers remorse. I also think that creating a clay model of the car to aid the customer’s options in the customization process is ingenious. Many times when customizing a product online some parts do not come out exactly as intended. Unfortunately color and sizing mishaps can happen due to computer monitor resolutions or bugs with rendering software. Ferrari found an exact way to replicate the final product allowing so that every little customer specific nuance is included in their one of a kind Sergio. What do think of having this low of a production run? How to do you think the clay models influenced sale?